Australia is a vast country of breathtaking, changing landscapes ranging from the red dirt of the outback to the lush rainforests of the tropics, mountainous rural countryside, stunning coastal views and more. 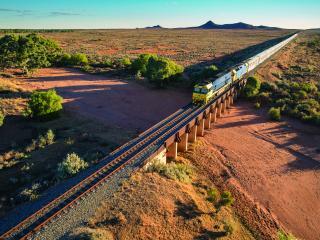 With distances between each capital city quite lengthy, there's no better way to explore the Australian landscape than with one of its famous train journeys. Travelling by train, you're free to take in the sights and soak up the atmosphere and relax as you cover some of Australia's most popular regions. 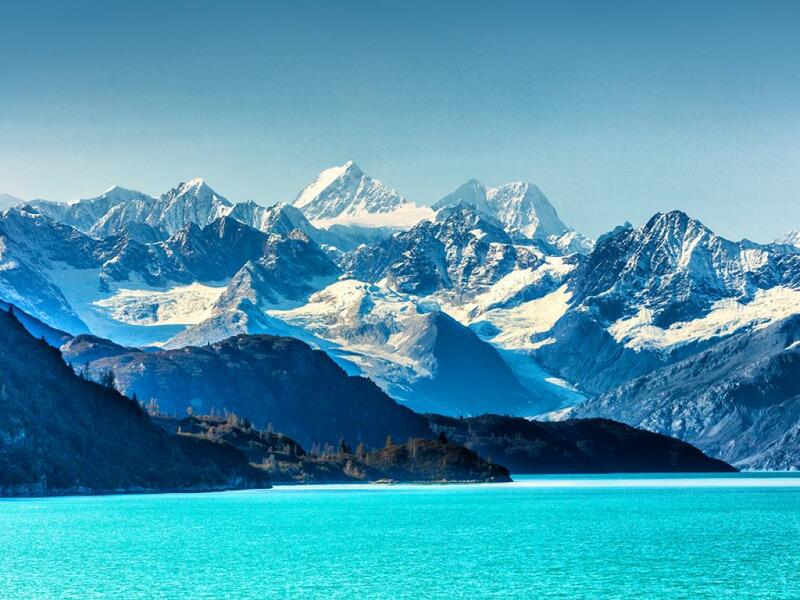 Without the stress of having to navigate your own route cross-country, you can enjoy a true holiday with everything taken care of. Don't just stop at one of Australia's iconic train journey's, why not combine these legendary rail services and see more of Australia. 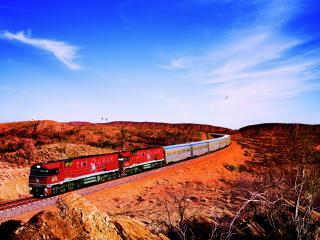 Boarding The Ghan in either Adelaide or Alice Springs, experience the diversity of Australia's vast landscape in style and comfort. 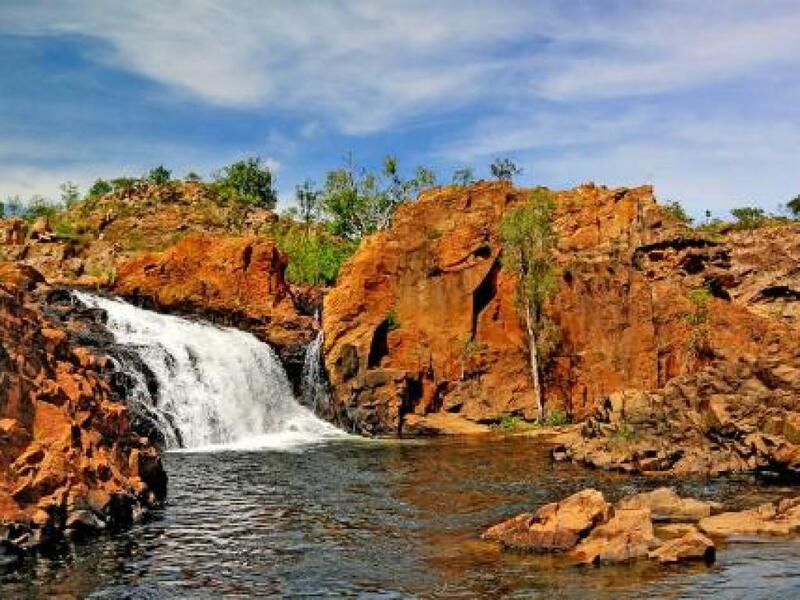 Choose from the Red Service Sleeper Cabins, Daynighter Seating or Gold Service Sleepers and experience the splendour of the tropics in Australia's Top End. 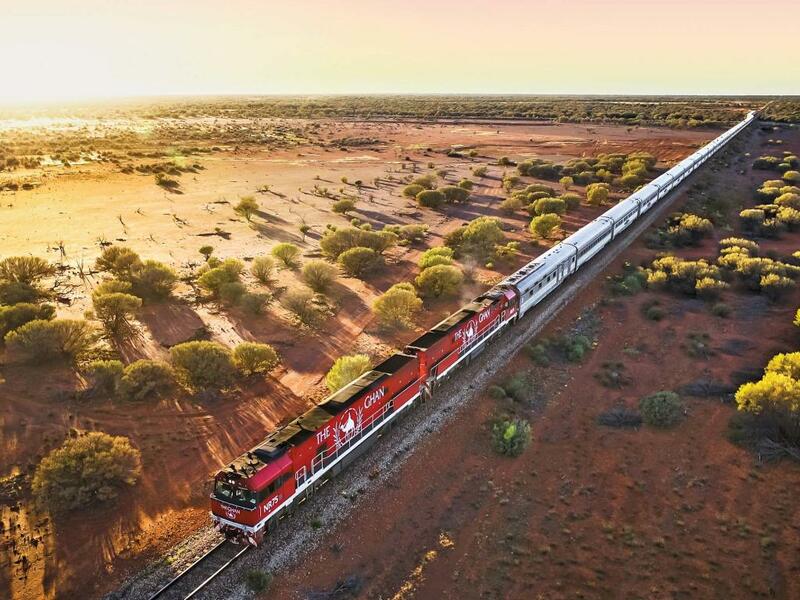 One of the longest train journeys in the world, the Indian Pacific spans the entire continent of Australia from the Pacific to Indian Oceans. One of the world's greatest train journeys, this rail service runs from Sydney and passes through historic Bathurst and the township of Broken Hill on its way to Adelaide. It then heads for Port Augusta and the Nullarbor Plain before finishing in Perth on Australia's west coast. 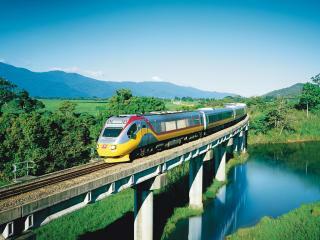 Travelling the most popular coastal destinations in Queensland, the Tilt Train makes its way between Rockhampton and Brisbane. Offering comfort and flexibility, the Tilt Train features a choice of business and economy class seats with access to entertainment and meals for those travelling to south east and central Queensland destinations. A modern coach and rail network, NSW TrainLink offers a range of destinations between Brisbane and throughout New South Wales and Melbourne. The TrainLink fleet services passengers in air conditioned comfort and service levels ranging from economy and first class seating. Sleeper facilities are also on board for extended and overnight journeys. A Rail Pass is a convenient and economical way to experience the magic of more than one of Australia's majestic train journeys and for more information, our journey planner shows each train route and all major towns connected to those routes.